As my partner was heading home for the holidays, and I needed to step back from my thesis and clear my head, I took some time off work and spent pre-Christmas in Victoria, BC - which is an absolutely gorgeous city. The last time I was there in January 2011, it was covered in snow and absolutely freezing. So imagine my joy, when I got there and it was warmer than England. Remembering Russell books and the gorgeous Munro Books - which I found out during this trip was founded by Alice Munro and her then husband, Jim Munro - I had to check them out again. At Russell books I found a copy of Aya: The Secrets Come Out. I know it's not the first in the series but I've been dying to read this graphic novel. Now I have one, I am hoping the rest will follow. Russell Books was also a great place to buy Christmas gifts. My partner wanted to give his mum and sister novels written by Nigerian authors and I thought Adichie would be a great female author for them. So we got Half of A Yellow Sun for his mum and Americanah for his sister. 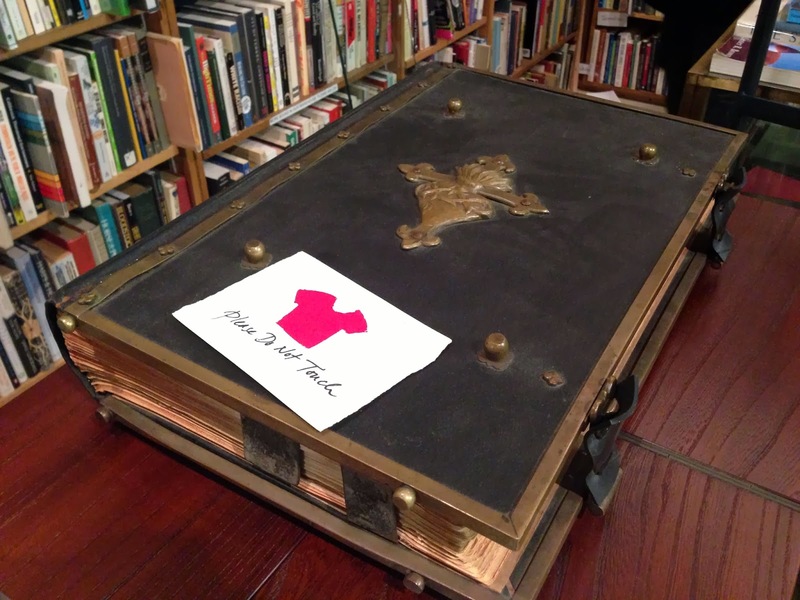 I wasn't there on Christmas day when they opened it, but he said they absolutely loved it :D.
We also checked out Renaissance Books, a used bookstore tucked away in an alley just off Bastion Square. Here I got a copy of Baking Cakes in Kigali by Gaile Parkin. 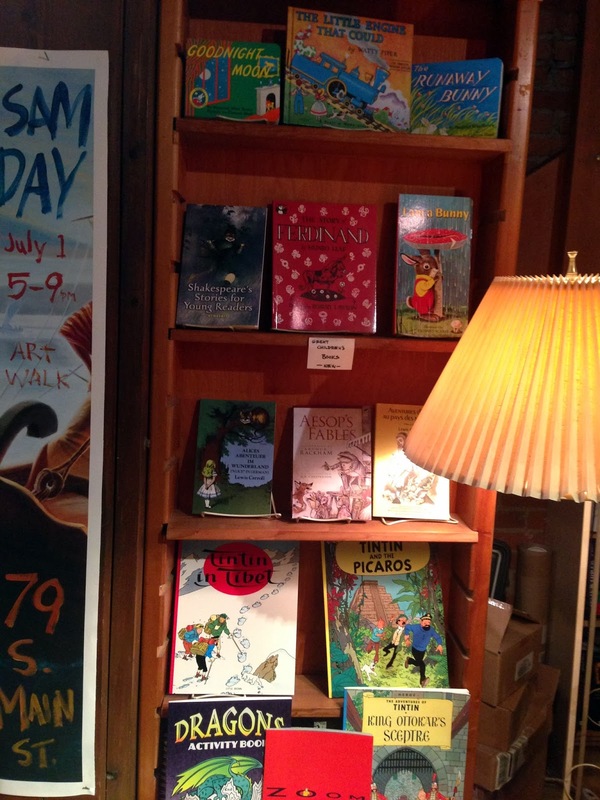 There were some gems here, and what really stood out was the really cool illustrated book section. It also has a great selection of 1st edition books. I've recently got interested in collecting books, so I've started keeping my eye out for places where I can find reasonably priced, first edition and rare books - and this is certainly one I will keep in mind for the future. 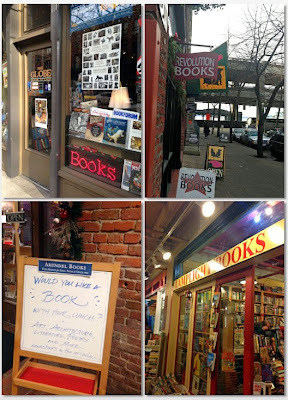 There was also this cute independent coffee shop and bookstore, James Bay Coffee and Books - really warm and inviting. One bookstore that actually caught me by surprise - UVic Bookstore. 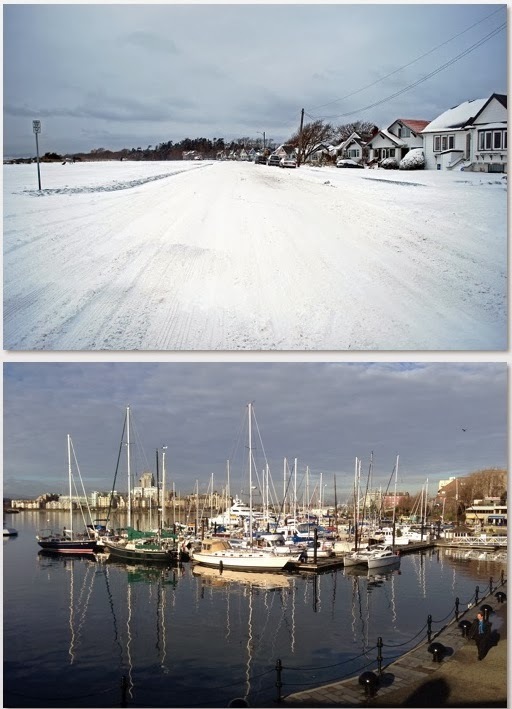 It was certainly not what I was expecting when we were at the University of Victoria campus. It's definitely a bookstore I wish I had at my university - it's got a nice mix of books - academic, fiction, non-fiction etc and nicely laid out. I have to say though, there's one thing I don't get about Canada - why are new books so expensive. I wonder if that's why there is such an abundance of used bookstores? As part of my escape from thesis, I was treated to a trip to Seattle - as it wasn't too far (2 hours and 45 mins to downtown Seattle). We left Victoria late Wednesday afternoon and got back Friday morning. So what can you do in 36 hours in Seattle? Surprisingly, quite a bit. Catching up with friends on the first night, spending the whole of the next day cruising the city - coffee drinking (well hot chocolate for me, as I don't drink coffee), seafood eating, a stop at Pike Place Market, and obviously bookstore hopping along the way - and then sleeping on the journey back. Would I go to Seattle again? Definitely!!! Hopefully for much longer. So the bookstores we checked out! 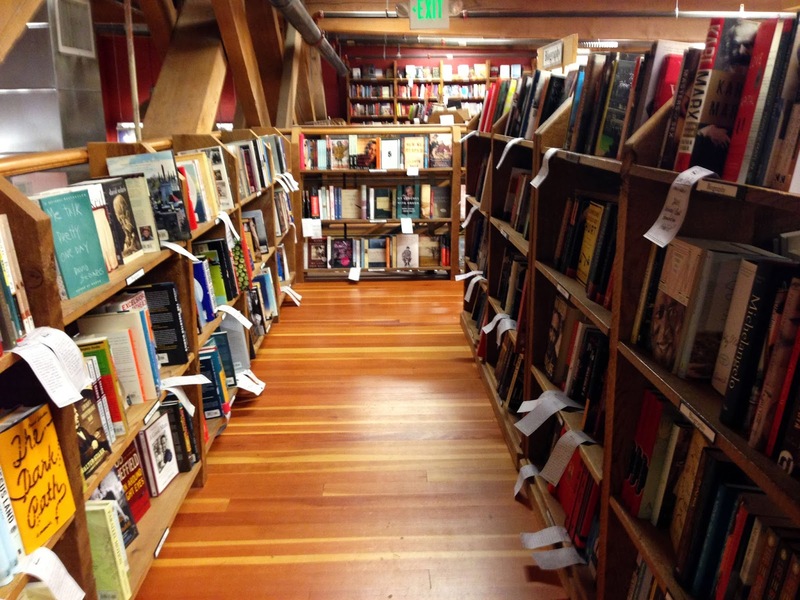 In Pioneer Square, there was the Globe Bookstore, Arundel Books and Revolution Books. All independent stores, specialising in different things. The Globe Bookstore is small with a great selection of used books, Arundel Books is underground and has tons and tons and tons of used books and nooks (yes nooks) with even more books, while Revolution Books had books on Women's Studies, Violence Against Women, Globalisation, US Imperialism and more. It had a cool Fiction section as well where we got John Steinbeck's Dubious Battle and Working Days: The Journals of the Grapes of Wrath for my partner's father. 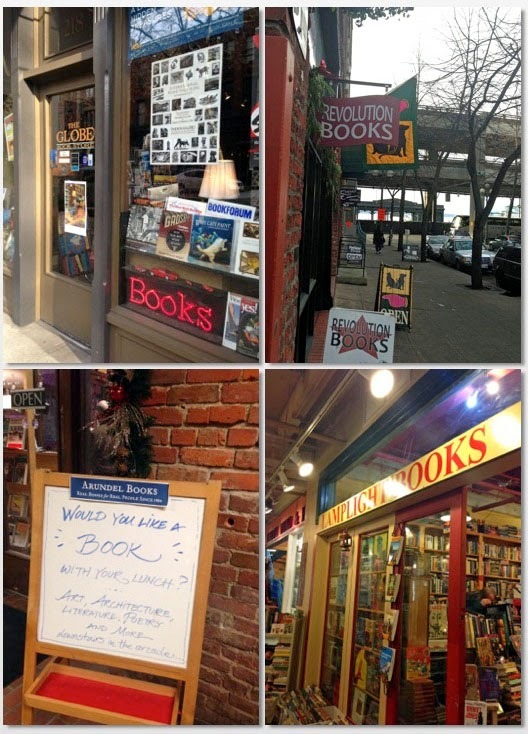 In Pike Place Market we checked Lamplight Books and Left Bank Books and Lamplight Books. 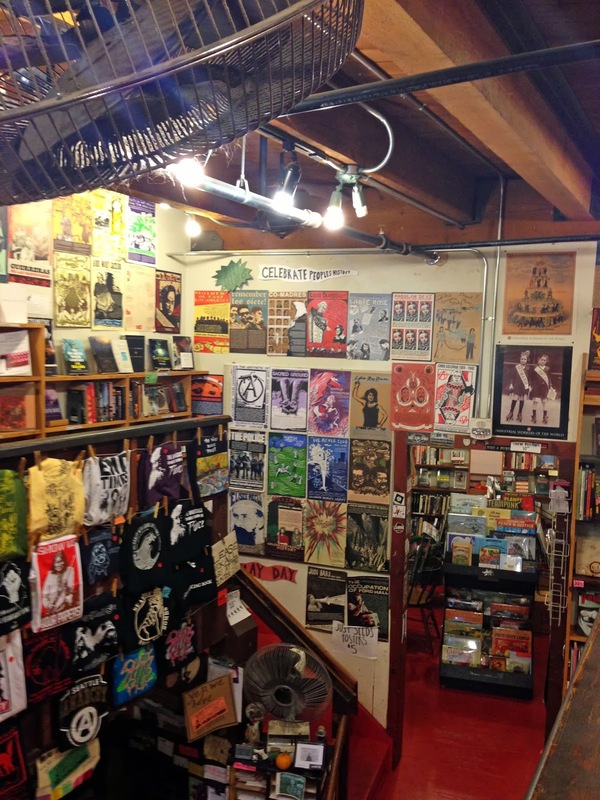 Left Bank Books was awesome - no idea how to explain it other than calling it a left-y bookstore with range of books on politics, environmentalism, feminism, workers' rights and more. 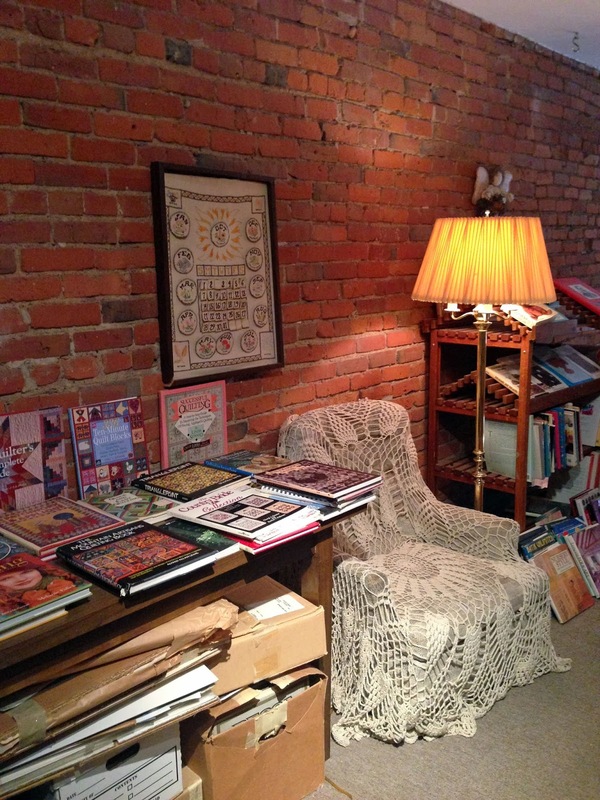 Lamplight Books is further inside the Market but is another adorable used bookstore. 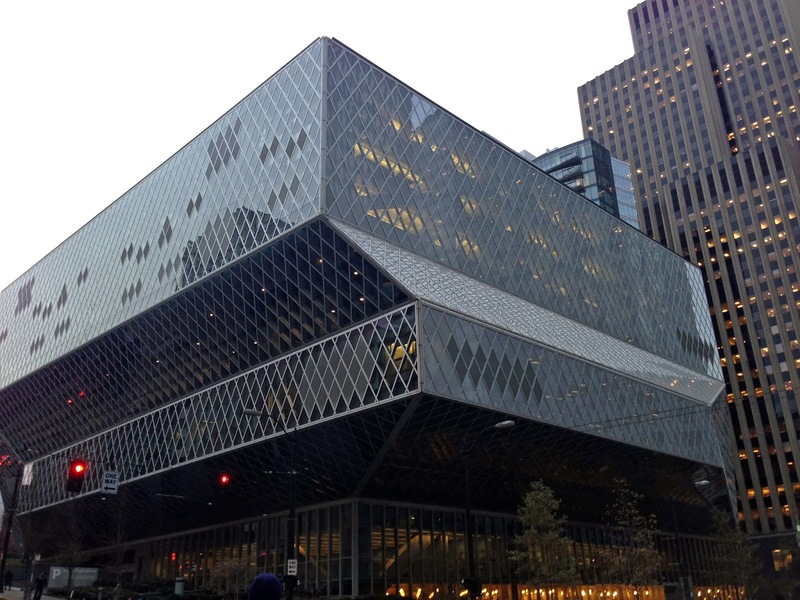 probably the coolest public library I have ever seen and been to. By nighttime, we were in Capitol Hill - and our last stop before dinner and drinks was The Elliot Bay Book Company. Unfortunately my pictures do not do any justice to how beautiful it is. It's so spacious with books everywhere, reading areas for customers ... and there's a cafe - have I mentioned I have a thing for bookstores and cafe's. All the bookstores, were uniquely beautiful in their own ways, and more and more as I get the opportunity to visit different books stores in different parts of the world, I am reminded how much I absolutely love bookstores. Overall, it was a great break - really what I needed. 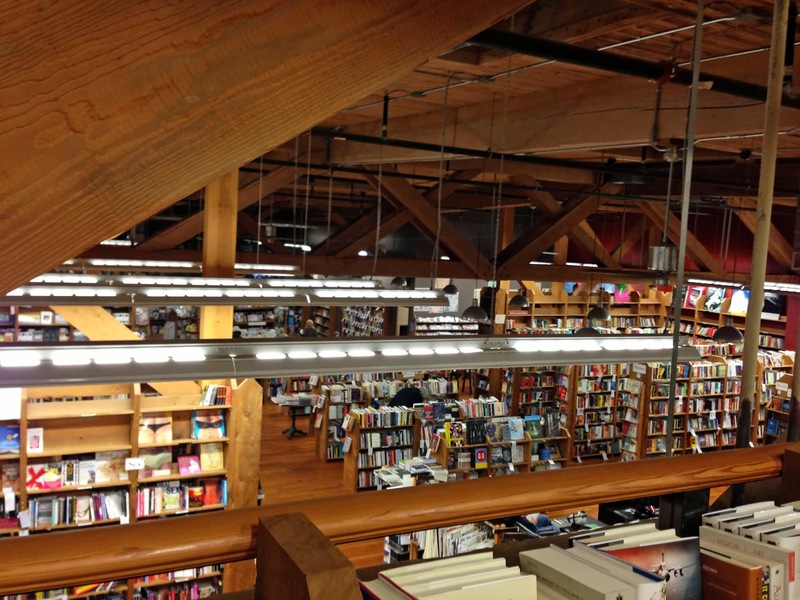 Here are a few more photos of the bookstores on the inside. 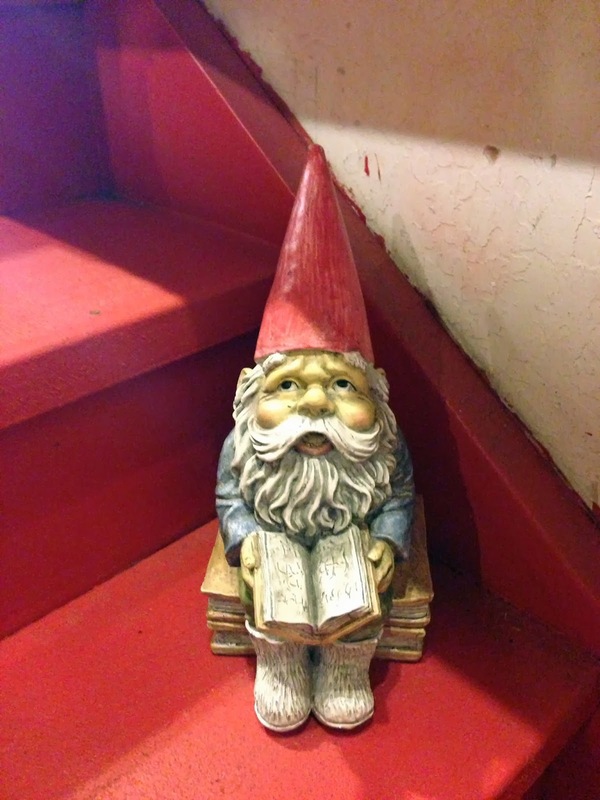 Left Bank Books ... and just in case you were ever curious about what a Gnome reading looks like. Yes! 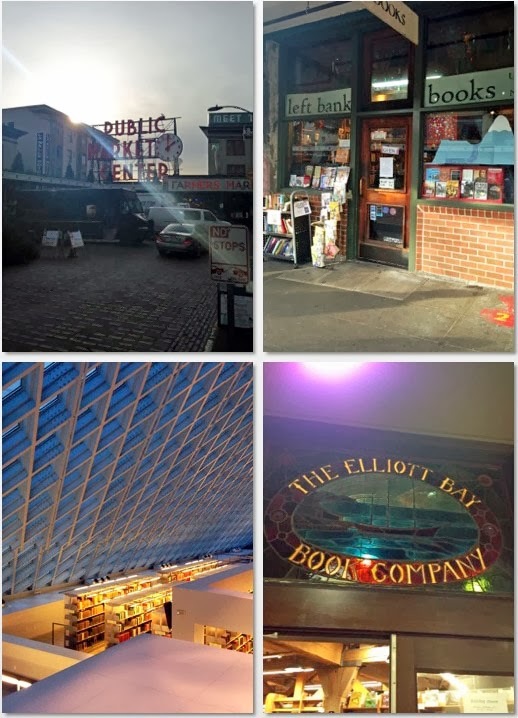 I visited Seattle in Summer 2012. 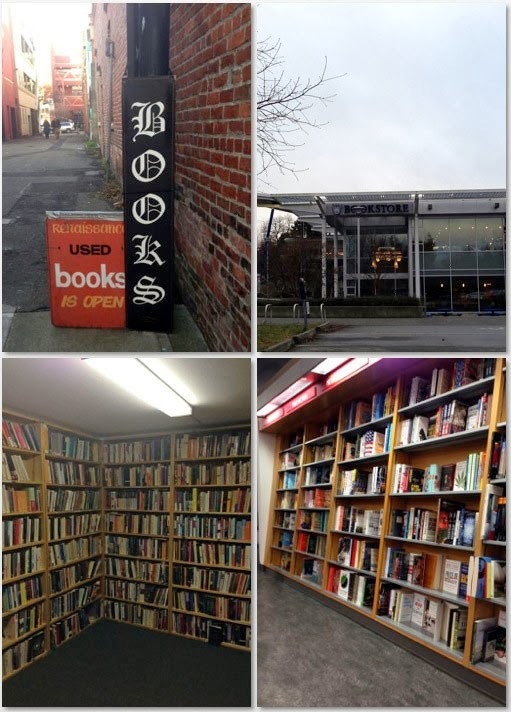 I didn't really have any plans for when I arrived but I kept coming across used book stores in my walks around the city. I wish I had made better plans; it seems like you came across a lot more than I did. And the library is amazing! I attempted to visit it while I was there but on the day I went, there were alarms going off and fire trucks outside the building. 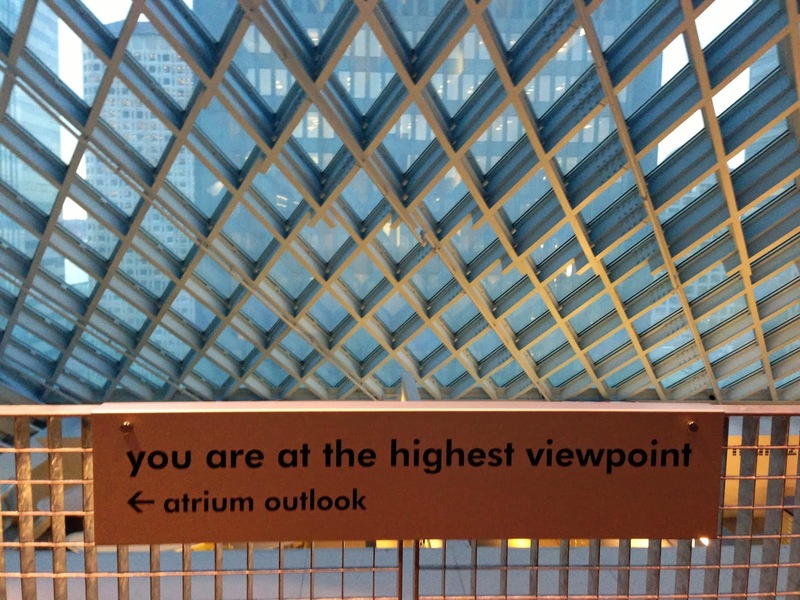 I agree, Seattle is definitely a city I would visit again. There really were a lot of used bookstores - there were even more we saw that we didn't go in. Yes!!! the library is ... I couldn't believe it. It's really cool on the inside but if I'm being honest was slightly overwhelmed by the enormity of it. I really do hope I get the chance to go again .... and hopefully when the weather is warmer.